Single-phase nano-Ni–Zn ferrite samples in the range of 6 to 75 nm were synthesized using microwave-assisted combustion method. 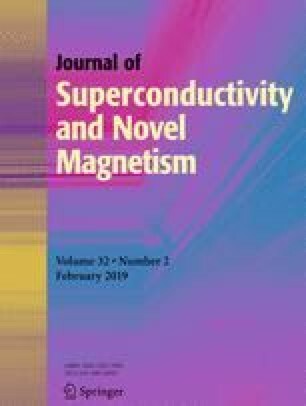 Enhancement of saturation magnetization (Ms) was observed in comparison with previously reported results. Minor variation of (Ms) due to composition change can be explained on the basis of strengthening of A–B exchange interaction due to replacement of nonmagnetic Zn ions by Ni ions. Low coercivity (Hc) and retentivity (Mr) indicate low loss in the samples. SQUID analysis showed that the blocking temperature (TB) of the samples can be tailored in the present work. The author is grateful to Prof. Manuel Almeida Valente, Aveiro University, Aveiro Portugal, for providing the facility for low-temperature magnetic measurements using VSM and SQUID.